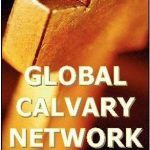 Global Calvary Network – Resources for excellent Christian living! Global Calvary Network is an online resource portal for Christians of all denominations to access books, magazines, sermons, discussions, news, a directory of churches, events and other literature aimed at helping us all nurture and sustain our faith in God through our Lord Jesus. Over the coming months, GCN will be introducing preachers and teachers of the word from all over the world. We shall be linking up to more resources online and promoting events to help you find, build and grow your Christian faith.